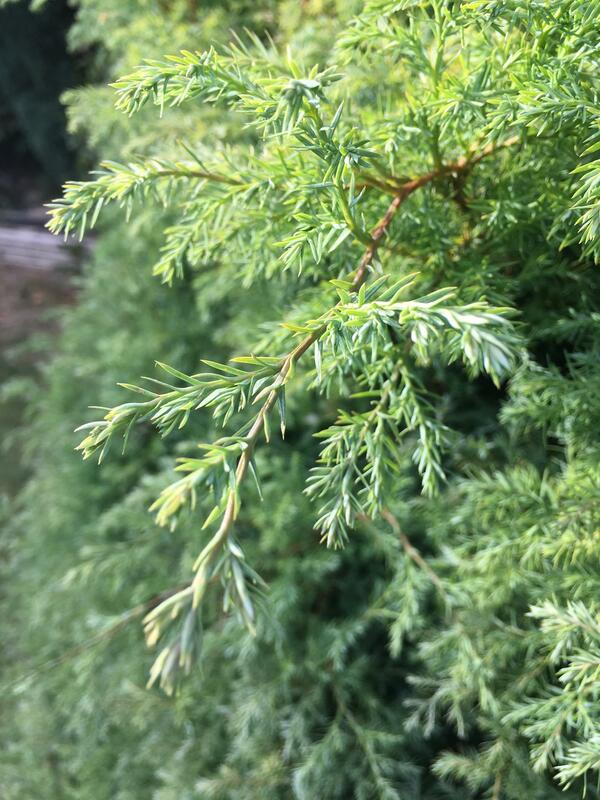 It's a Juniper, genus Juniperus. Crushing the leaves in your fingers will release a sharp, tangy, not unpleasant smell. The berries are used to flavour gin. 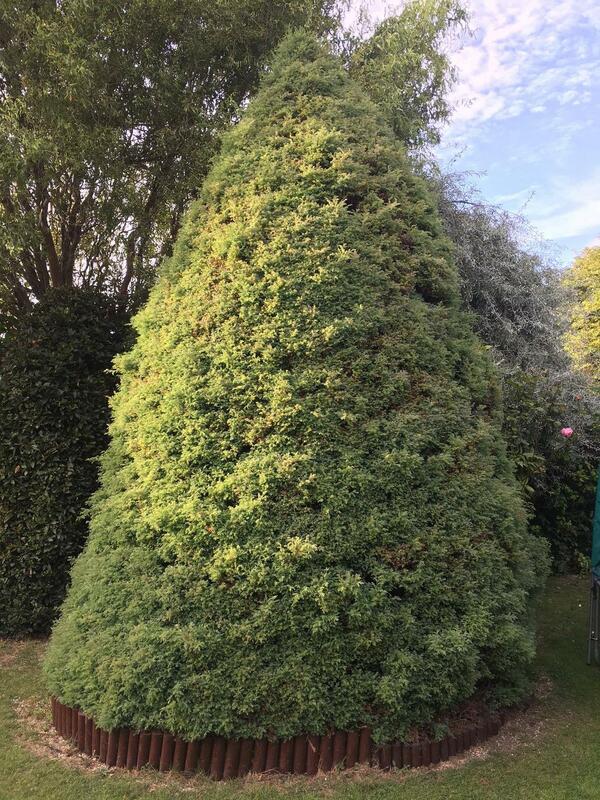 Best way for a positive ID is take a small bit with you to a large garden centre, or arboretum, and head to the juniper section and compare the look, feel and smell of the specimens.